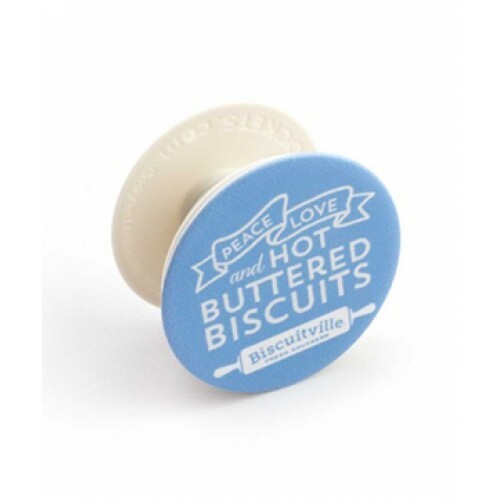 Hold onto "Peace, Love, and Hot Buttered Biscuits." 1.53" x 1.53" x 0.9" expanded; 0.26" collapsed. Stick flat to the back of your phone, tablet or case with a rinseable, repositionable gel. 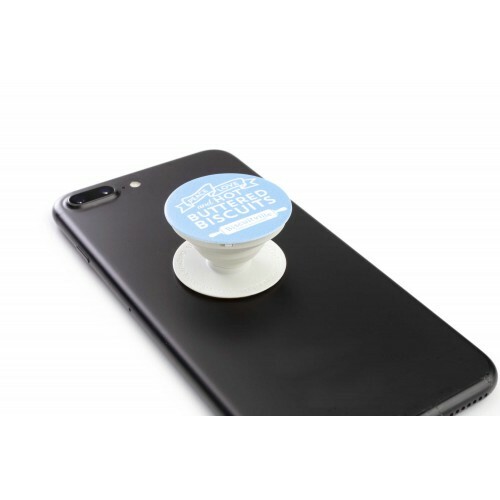 You can lower it for video chat or extend it fully to use as a media stand or photo and texting grip for any brand of phone. .